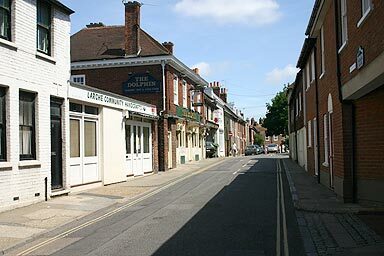 Houses, and the Dolphin pub. Photograph July 2005. © Copyright Peter Collinson, All rights reserved.